Eileen Heckart (born Anna Eileen Herbert, March 29, 1919 – December 31, 2001) was an American actress whose career spanned nearly 60 years. She first became known for her role as schoolteacher Rosemary Sydney in the original 1953 cast of William Inge's play Picnic on Broadway. She won an Academy Award for Best Supporting Actress for her performance as the overprotective mother of a blind adult son in Butterflies Are Free (1972), a role she originated on Broadway before playing it in the film. She often played mothers, including Rocky Graziano's mother in Somebody Up There Likes Me (1956); the mother of a murdered child in The Bad Seed (1956); the elderly mother of an estranged son in the PBS production of the one-act play Save Me a Place at Forest Lawn (1966); the mother of reporter Jack Stein on the 1990s television sitcom Love & War; the mother of two separate characters on the daytime soap opera One Life to Live in the 1980s and 1990s; and the meddling mother of a jilted wife (played by Diane Keaton) in The First Wives Club (1996), her last film role. She also had a recurring role on the 1970s sitcom The Mary Tyler Moore Show as Mary's Aunt Flo Meredith, a famous woman reporter, which she repeated on the subsequent spin-off series, Lou Grant. In addition to her Academy Award, she also won two Emmy Awards for Save Me a Place at Forest Lawn and Love & War, and a Golden Globe Award for The Bad Seed. She also received a special Tony Award for lifetime achievement in 2000, and has a star on the Hollywood Walk of Fame. She made her final acting appearance in 2000 at age 80 in an off-Broadway production, The Waverly Gallery, in which she played the leading role of an elderly grandmother with Alzheimer's disease. Heckart was born in Columbus, Ohio, the daughter of Esther Stark, who wed Leo Herbert (not the child's father) at her own mother's insistence so her child would not be born with the stigma of illegitimacy. The child was soon after legally adopted by her maternal grandmother's wealthy second husband, J.W. Heckart, the surname by which she would be known her entire life. She had two stepsisters, Anne and Marilyn. She graduated from The Ohio State University with a B.A. in drama.. She additionally studied drama at HB Studio in New York City. Heckart began her Broadway career as the assistant stage manager and an understudy for The Voice of the Turtle in 1943. Her many credits include Picnic, The Bad Seed, A View from the Bridge, A Memory of Two Mondays, The Dark at the Top of the Stairs, A Family Affair, And Things That Go Bump in the Night, Barefoot in the Park, Butterflies Are Free, You Know I Can't Hear You When the Water's Running, and The Cemetery Club. In 2000, at age 81, she appeared off-Broadway in Kenneth Lonergan's The Waverly Gallery, receiving more awards for a single performance in a single season than any actress in theatre history, including the Drama Desk Award, the Lucille Lortel Award, the Drama League Award and the Outer Critics Circle Award. That same year, she was inducted into the Theatre Hall of Fame and received an honorary Tony Award for lifetime achievement. Other awards include the 1953 Theatre World Award for Picnic. Her nominations include Tony Award nominations for Butterflies Are Free, Invitation to a March, and The Dark at the Top of the Stairs. She was granted three honorary doctorates by Sacred Heart University, Niagara University and Ohio State University. 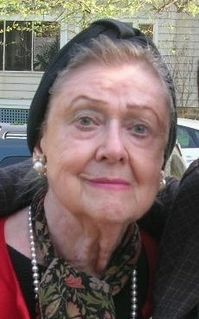 Heckart won the Academy Award for Best Supporting Actress for her work in the 1972 movie adaptation of Butterflies Are Free and was nominated in 1956 for her performance as the bereaved, besotted Mrs. Daigle in The Bad Seed, both of which were roles Heckart had originated on Broadway. She also appeared as a Vietnam War widow in the Clint Eastwood film, Heartbreak Ridge. She played Diane Keaton's meddling mother in the 1996 comedy film The First Wives Club. Heckert appeared in "The Hiding Place (1976 film)" as a nurse working inside the concentration camp. On television, Heckart had starring roles in The Five Mrs. Buchanans, Out of the Blue, Partners in Crime, and Backstairs at the White House (Emmy nomination as Eleanor Roosevelt). In 1994, she won an Emmy Award for Outstanding Guest Actress in a Comedy Series for her appearance as Rose Stein on Love & War. Her other guest spots included The Fugitive (where she appeared in three episodes as a nun, "Sister Veronica"), The Mary Tyler Moore Show (two Emmy nominations as journalist Flo Meredith, a role she carried over to a guest appearance on MTM's spinoff Lou Grant), Love Story, Rhoda, Alice, Murder One, Hawaii Five-O, Gunsmoke, Cybill, The Cosby Show (one Emmy nomination as Mrs. Hickson), and many others. Heckart played two unrelated characters on the daytime soap opera One Life to Live. During the 1980s, she played Ruth Perkins, the mother of Allison Perkins, who had kidnapped the newborn baby of heroine Vicky Lord Buchanan under orders from phony evangelist and mastermind criminal Mitch Laurence. During the early 1990s, she played the role of Wilma Bern, mother of upstate Pennsylvania mob boss Carlo Hesser and his meek twin, Mortimer Bern. She appeared in the 1954 NBC legal drama Justice, based on case files of New York's Legal Aid Society. She appeared in an episode of the NBC medical drama about psychiatry, The Eleventh Hour, "There Should Be an Outfit Called 'Families Anonymous!'" (1963). Heckart was married to John Harrison Yankee, Jr. for 55 years from 1942 until his death in 1997. Her son Luke Yankee is the author of her 2006 biography, Just Outside the Spotlight: Growing Up with Eileen Heckart. Heckart was a Democrat who personally met President Lyndon B. Johnson at The White House in 1967. On December 31, 2001, Heckart died of lung cancer at her home in Norwalk, Connecticut at the age of 82. She was cremated with her ashes scattered outside the Music Box Theatre in Manhattan, New York. The Eileen Heckart Collection was established at Ohio State University's Jerome Lawrence and Robert E. Lee Theatre Research Institute, with her notes, copies of scripts, and personal papers. In 2005, the Eileen Heckart Drama for Seniors Competition was established in her memory by Ohio State's Department of Theatre. Her sons also established a scholarship at Ohio State in her name. Heckart has a Star on the Hollywood Walk of Fame at 6162 Hollywood Blvd. 1983 Trauma Center Amy Decker R.N. ^ a b Pogrebin, Robin (January 2, 2002). "Eileen Heckart, Oscar-Winning Actress, Is Dead at 82". The New York Times. Retrieved January 26, 2016. ^ Jones, Kenneth; Simonson, Robert (January 1, 2002). "Eileen Heckart, Gravel-Voiced Actress of 'Bad Seed' and 'Waverly Gallery', Dead at 82". Playbill. New York City. Retrieved January 26, 2016. ^ Yankee, Luke (May 1, 2006). Just Outside the Spotlight: Growing Up with Eileen Heckart. BackStage Books. p. 16. ISBN 978-0823078882. Retrieved September 24, 2017. On March 29, 1919, Anna Eileen Herbert was born, and her surname was quickly changed to Heckart. ^ "Eileen Heckart Tony Awards Info". www.broadwayworld.com. Retrieved January 17, 2018. ^ "Awards Search: Eileen Heckart". Emmys.com. Television Academy. Retrieved January 26, 2016. ^ "Justice". Classic TV Archive. Archived from the original on October 8, 2011. Retrieved February 8, 2011. ^ Yankee, Luke (2006). Just Outside the Spotlight: Growing Up with Eileen Heckart. ISBN 9780823078882. ^ Costagregni, Susie (June 24, 2006). "Director grabs a coffee before daughter's wedding". The Advocate. p. A2. ^ Wilson, Scott (September 16, 2016). Resting Places: The Burial Sites of More Than 14,000 Famous Persons (3rd ed.). McFarland. ISBN 9781476625997. Wikimedia Commons has media related to Eileen Heckart. 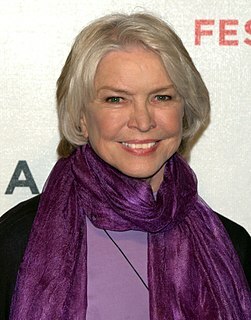 Ellen Burstyn is an American actress best known for her roles in films of the 1970s, such as The Last Picture Show, The Exorcist, and Alice Doesn't Live Here Anymore, for which she won an Academy Award. Marcia Gay Harden is an American actress. Her film breakthrough was in the 1990 Coen brothers-directed Miller's Crossing. She followed this with roles in films including Used People (1992), The First Wives Club (1996), and Flubber (1997). For her performance as artist Lee Krasner in the 2000 film Pollock, she won the Academy Award for Best Supporting Actress. She earned another Academy Award nomination for her performance as Celeste Boyle in Mystic River (2003). Other notable film roles include American Gun (2005), and 2007's The Mist and Into the Wild. Judith Ellen Licht, known professionally as Judith Light is an American actress, producer, and activist. Joan Allen is an American actress. She began her career with the Steppenwolf Theatre Company in 1977, won the 1984 Drama Desk Award for Outstanding Actress in a Play for And a Nightingale Sang, and won the 1988 Tony Award for Best Actress in a Play for her Broadway debut in Burn This. She is also a three-time Academy Award nominee; receiving Best Supporting Actress nominations for Nixon (1995) and The Crucible (1996), and a Best Actress nomination for The Contender (2000). Stockard Channing is an American actress. She is known for playing Betty Rizzo in the film Grease (1978) and First Lady Abbey Bartlet on the NBC television series The West Wing (1999–2006). She is also known for originating the role of Ouisa Kittredge in the stage and film versions of Six Degrees of Separation, for which she was nominated for the Tony Award for Best Actress in a Play and the Academy Award for Best Actress. 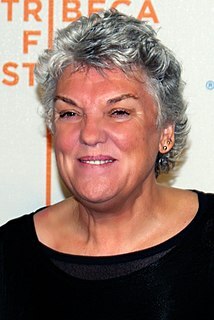 Ellen Tyne Daly is an American actress. She has won six Emmy Awards for her television work and a Tony Award, and is a 2011 American Theatre Hall of Fame inductee. Colleen Rose Dewhurst was a Canadian-American actress. She is known most for theatre roles, and for a while as "the Queen of Off-Broadway". 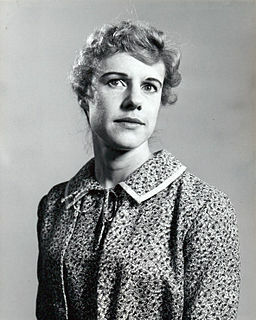 In her autobiography, Dewhurst wrote: "I had moved so quickly from one Off-Broadway production to the next that I was known, at one point, as the 'Queen of Off-Broadway'. This title was not due to my brilliance, but, rather, because most of the plays I was in closed after a run of anywhere from one night to two weeks. I would then move immediately into another." She was a renowned interpreter of the works of Eugene O'Neill on the stage, and her career also encompassed film, early dramas on live television, and Joseph Papp's New York Shakespeare Festival. One of her last roles was playing Marilla Cuthbert in the Kevin Sullivan television adaptations of the Anne of Green Gables series, and her reprisal of the role in the subsequent TV series Road to Avonlea. 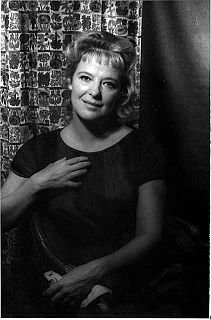 Dewhurst won two Tony Awards and four Emmy Awards for her stage and television work. Janet McTeer is an English actress. In 1997, she won the Tony Award for Best Actress in a Play, the Olivier Award for Best Actress, and the Drama Desk Award for Outstanding Actress in a Play for her role as Nora in A Doll's House (1996–97). She also won a Golden Globe Award and was nominated for the Academy Award for Best Actress for her role as Mary Jo Walker in the 1999 film Tumbleweeds, and was nominated for the Academy Award for Best Supporting Actress for her role as Hubert Page in the 2011 film Albert Nobbs. She was made an OBE in the 2008 Queen's Birthday Honours. Verla Eileen Regina Brennan was an American film, stage, and television actress. She made her film debut in the satire Divorce American Style (1967), followed by a supporting role in Peter Bogdanovich's The Last Picture Show (1971), which earned her a BAFTA award nomination for Best Supporting Actress. Swoosie Kurtz is an American actress. She is an Emmy Award winner and a two-time Tony Award winner. Eileen Herlie was a Scottish-American actress. Cherry Jones is an American actress. A five-time Tony Award nominee for her work on Broadway, she won the Tony Award for Best Actress in a Play for the 1995 revival of The Heiress and for the 2005 original production of Doubt. She won the 2009 Primetime Emmy Award for Outstanding Supporting Actress in a Drama Series for her role as Allison Taylor on the FOX television series 24. She has also won three Drama Desk Awards. The Bad Seed is a 1956 American psychological horror-thriller film with elements of melodrama and film noir, directed by Mervyn LeRoy and starring Nancy Kelly, Patty McCormack, Henry Jones, and Eileen Heckart. Elizabeth Welter Wilson was an American actress whose career spanned nearly 70 years, including memorable roles in film and television. Wilson was inducted into the American Theatre Hall of Fame in 2006.